Some of the update patches pushed to Windows 7, 8, and 8.1 during this year seem to be solely for the purpose of gather data from a user's system. Is there a way to disable the telemetry through some setting(s)? Or is it necessary to dig up which update patches are involved in the data gathering, and remove those? Some telemetry can be disabled through settings. 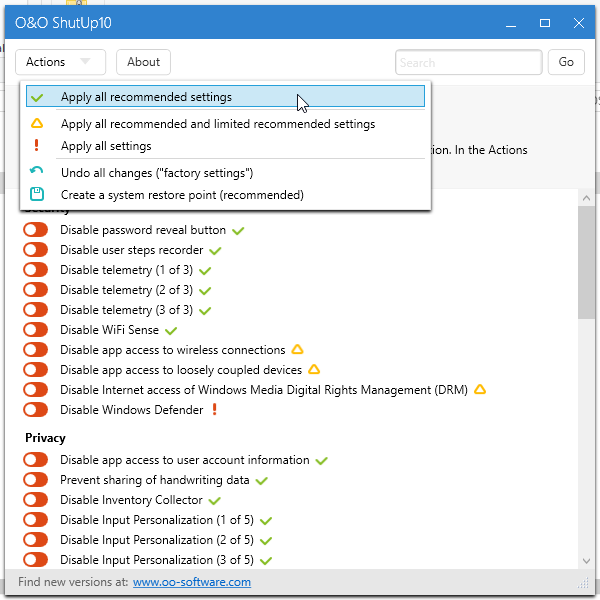 There are also 3rd-party utilities such as Windows 10 Privacy Fixer and O&O ShutUp10 which fix these settings in Windows 10. Is it necessary to dig up which update patches are involved in the data gathering, and remove those? Some telemetry disabling requires removal of (or not installing) patches. Disabling CEIP and the related Task Scheduler tasks that control this program can improve Windows system performance. 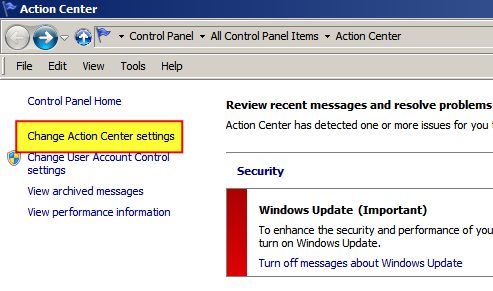 Start "Control Panel" > "Action Center" > "Change Action Center settings". 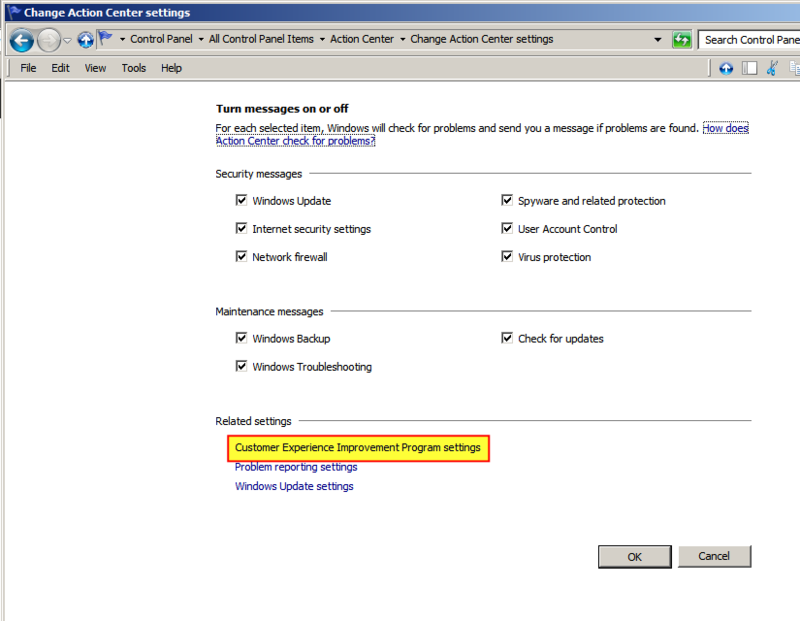 Click "Customer Experience Improvement Program settings". 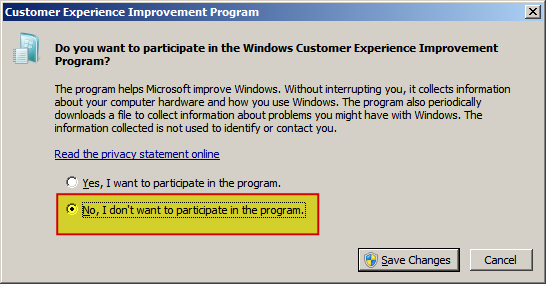 Select "No, I don't want to participate in the program" then click "Save changes". Start > "Control Panel" > "Administrative Tools" > "Task Scheduler". In the Task Scheduler (Local) pane of the Task Scheduler dialog box, expand "Task Scheduler Library" > "Microsoft" > "Windows" and open the "Application Experience" folder. Disable the "AITAgent" and "ProgramDataUpdater" tasks. In "Task Scheduler Library" > "Microsoft" > "Windows", open the "Customer Experience Improvement Program" folder. Disable the "Consolidator", "KernelCeipTask", and "UsbCeip" tasks. Source Privacy Windows 10, Windows 7, Linux MINT - How do they compare? Below are instructions for disabling the unwanted telemetry/tracking in Windows 7 and 8.1 and removing all updates associated with upgrading to Windows 10. Here is the list of Windows updates to remove. Don’t forget to reboot afterwards. You can proceed to finish the next steps before rebooting. Everything under "Customer Experience Improvement Program"
Under "Disk Diagnostic" delete only the "Microsoft-Windows-DiskDiagnosticDataCollector"
Under "Maintenance" "WinSAT" "Media Center" and click the "status" column, then select all non-disabled entries and disable them. Now you can reboot. When you open Windows Update again it will ask to install whichever updates above were removed. Right-click on each one and select "hide". Finally, log in to your broadband router and look for an option like "content filtering" or "block sites". Add the following hosts to be blocked. On a Netgear router each host is a keyword that must be added. Note, as Matthew Steeples has pointed out, a-0001.a-msedge.net is a CDN endpoint and has uses in non-telemetry scenarios. 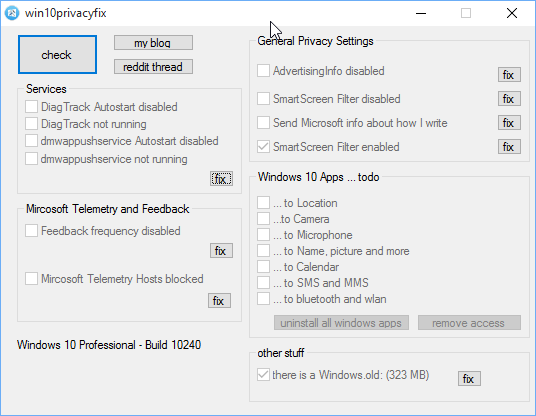 Windows 10 Privacy Fixer provides a privacy check with options to fix a number of settings, including those related to Telemetry. Source Windows 10 Privacy Fixer. Image source Windows 10 Is Watching: Should You Be Worried? I am not affiliated with 10 Privacy Fixer or O&O ShutUp10. I have not validated these instructions. I am merely posting them here as it may be of interest to someone who is looking into this issue. Not the answer you're looking for? Browse other questions tagged windows-7 windows windows-8 windows-8.1 or ask your own question. Powershell script to remove Windows CEIP patches? How can I prevent Windows Server 2008 R2 from phoning home? Will the Windows Store update from Windows 8 to 8.1 leave all my data/apps intact? How to prevent Windows 8.1 from gathering windows onto a single display when sleeping? Post free upgrade deadline, how to remove “Get Windows 10” icon AND preloaded files?